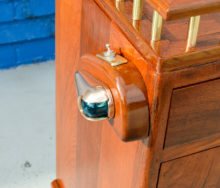 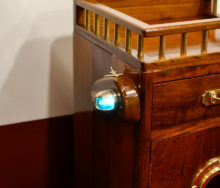 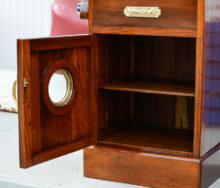 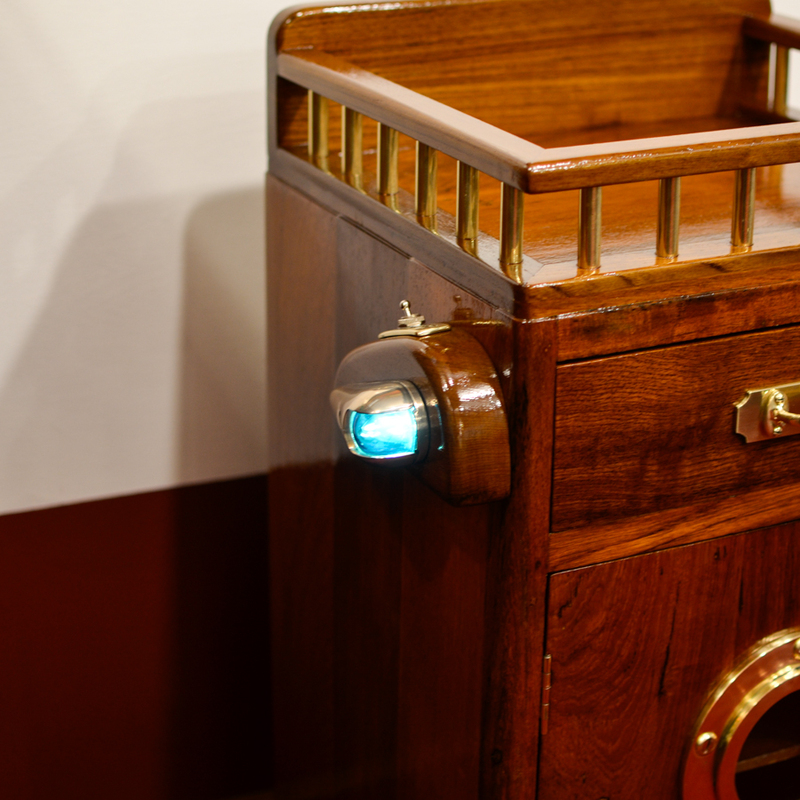 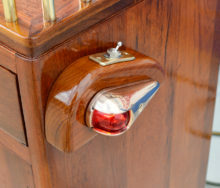 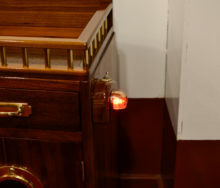 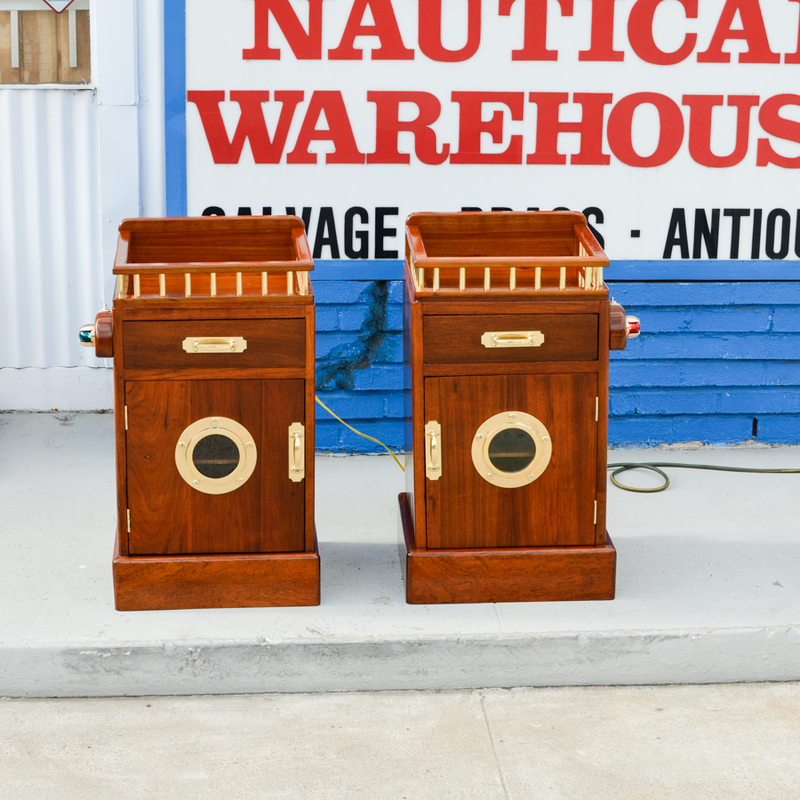 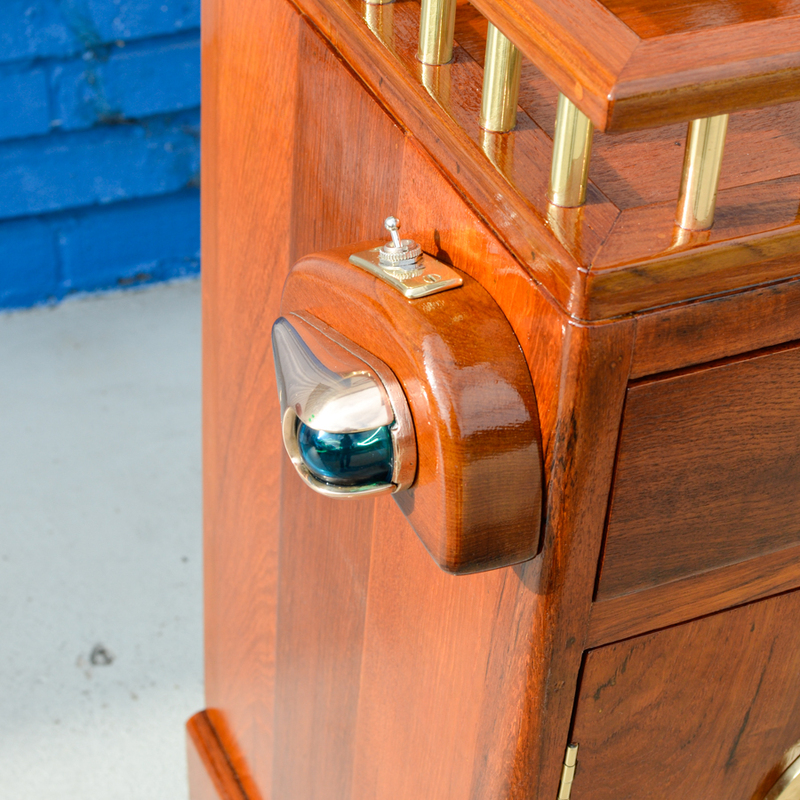 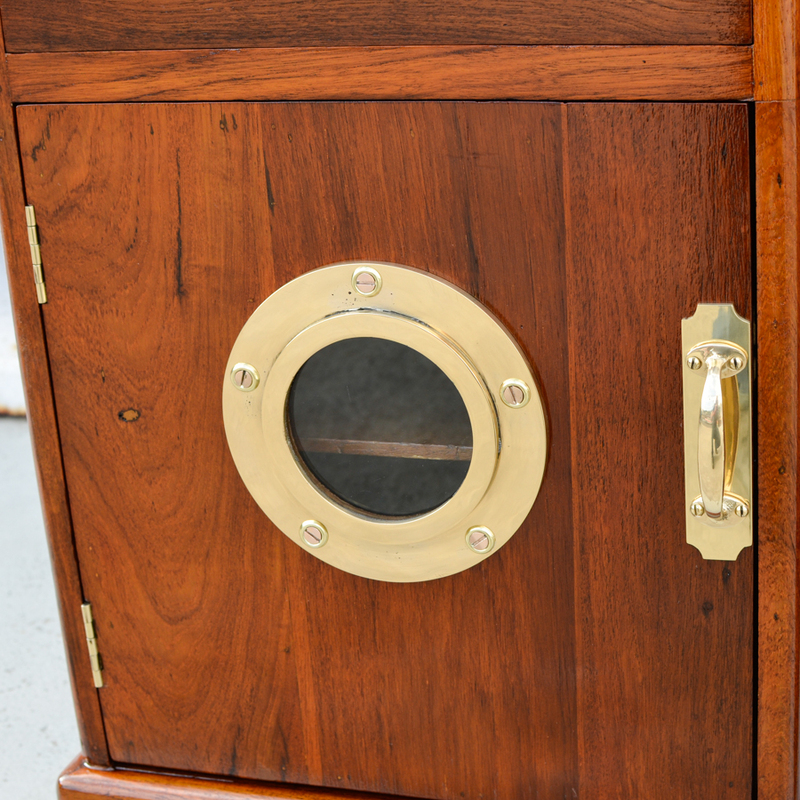 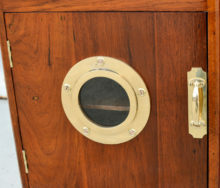 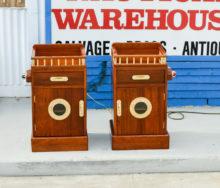 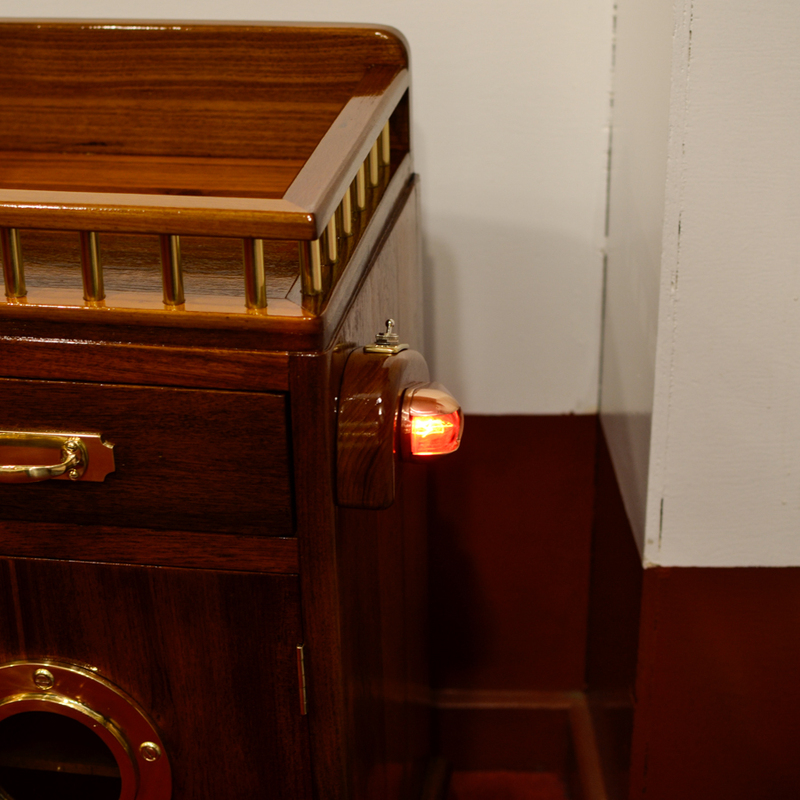 A UNIQUE set of stateroom berthside stands, custom made by the crew out of rich Mahogany. 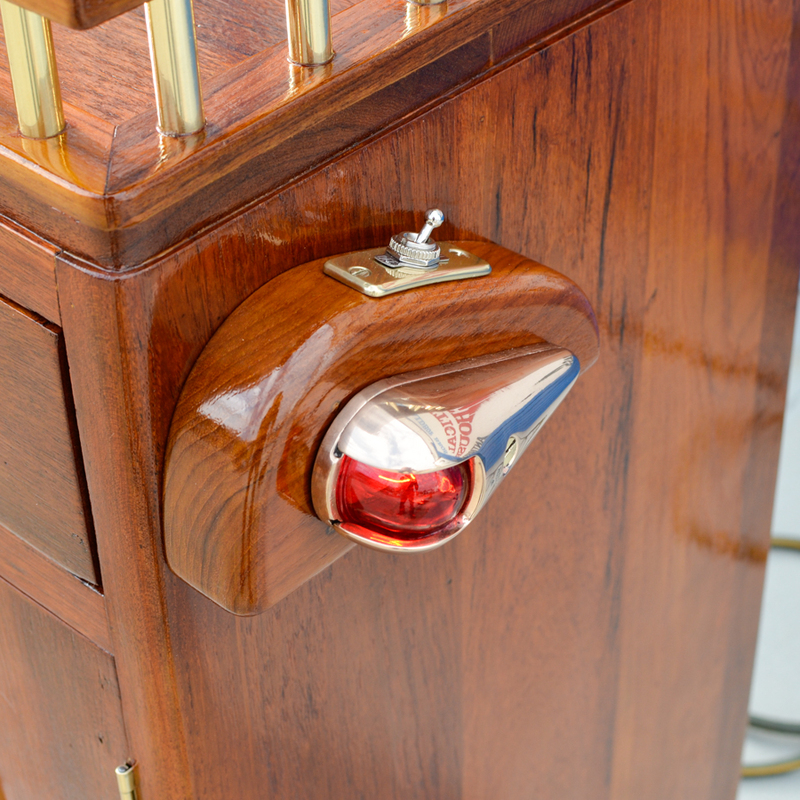 With this pair, we have added a set of vintage running lights, that really add class. 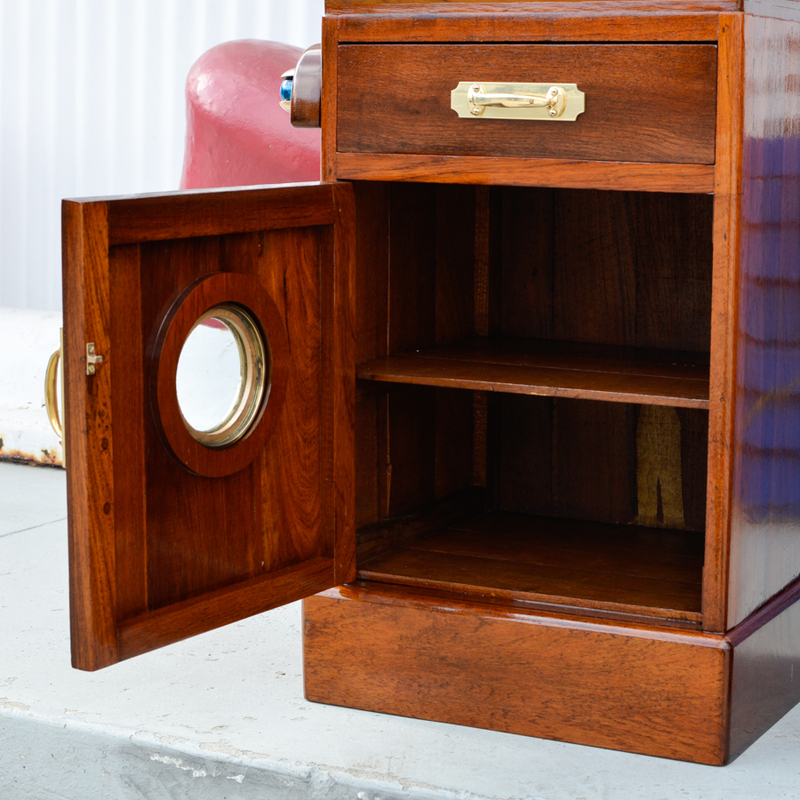 Measuring 30″ tall over all x 16.5″ wide x 14.5″ deep.